Mrs. Rhine has a Bachelor's Degree from John Carroll University in Public Policy/Economics and a Master's Degree from The Ohio State University in Public Administration. Mrs. Rhine is currently employed as a manager of Business Continuity, at Briteskies, a local information technology company. Mrs. Rhine has also been a Program Director in the Planning & Business Development Department at The Ohio State University Medical Center and has served as a Senior Operations Planner for the State of Ohio Department of Human Services. Stefanie and her husband, Dan moved to Lyndhurst in 1999. They have four children. Their oldest is a recent Brush graduate ('16) and the remaining three children attend SEL schools. Since moving to the community, Stefanie has become involved with the schools through her commitment to PTA as well as serving on a number of district committees including: Citizen’s Advisory Committee, Strategic Planning Committee, and numerous Levy Committees. 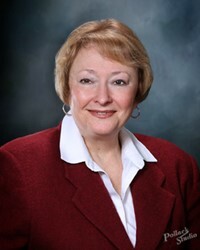 Mrs. Rhine is currently serving her third elected term on the Board, which began in January 2016 and runs until December 2019. Mrs. Jones and her husband, James have been South Euclid residents since 2005. They are the proud parents of three sons; Shiloh (Brush 2014), Bryan and Jamel. 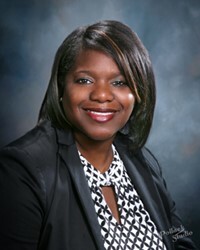 Upon moving to the district, she has been involved as a parent being a member of multiple PTA units, PTA Council, and the Strategic Planning Committee. Cassandra has an Associates Degree in Paralegal Studies and a Bachelor's Degree in Political Science from Cleveland State University. 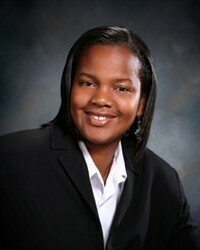 Currently she is working as a Baliff for Cleveland Heights Municipal Court. With a focus on education and advocacy for children, Mrs. Jones also volunteers as an advocate within the Cuyahoga County Juvenile Court for the CASA (Court Appointed Special Advocate) Program. Mrs. Jones commends the community for affording her the opportunity to serve as their school board member and looks forward to continuing this journey as we all collaborate to "educate, inspire and empower our students". 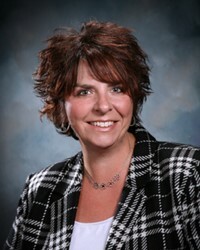 Mrs. Jones was elected to the Board in November 2009 and is currently serving this term that runs through December 2021. 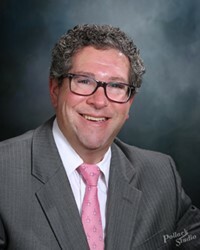 Mr. Bloomberg is the OSBA Legislative liaison for the Board and his current term runs through December 2021. Ms. Falkenberg is a 30-year resident of South Euclid and a retired Brush High School English teacher. Her two daughters both graduated from Brush and have gone on to find success in the fields of education, as well, one in elementary ed and the other on the university level. While at Brush, her younger daughter, Kristen, started the Brush environmental club, Project Earth, which is still going strong and for which Ms. Falkenberg was the adviser for all 22 years. She also was privileged to have worked with the National Honor Society and to have taught all grades and levels of English Language Arts. Ms. Falkenberg still is in contact with many of her former students and is so pleased to see our Brush grads succeeding in fields as diverse as education, acting, politics, business, art and many others. Her greatest joy now is spending time with her two granddaughters who are almost 3 and 1 and who live in Mentor. Ms. Falkenberg is the OSBA Student Achievement Liaison for the Board of Education. Her current term runs through December 2021. Erin Lee-Harris has been a proud resident of South Euclid since 2008. After years of working in the banking industry, Erin enrolled at Indiana Wesleyan University seeking a degree in Business Administration. In addition to being a full-time student, Erin enthusiastically carries out the duties of a stay-at-home Mom. She has four children ranging from ages 3-13, three of which attend school within the district. For the past 8 years, Erin has been an active member of the South Euclid Lyndhurst PTA, and has served as PTA Council President. She is currently serving her 2nd term on the Board commencing in January 2016 and running through December 2019.